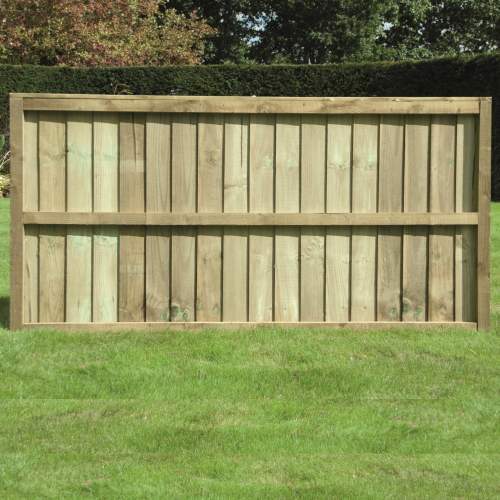 This traditional panel is our heaviest duty, and most popular panel; a matching gate is also available. Available in eight standard heights, we also offer bespoke panels – narrower, shorter, and sloping; simply get in touch to find out more! This panel is 1830mm (6 feet) wide, and designed for use with timber, concrete, and plastic accessories. When choosing a gravel board it is important to make sure you buy the correct board to match your panels. 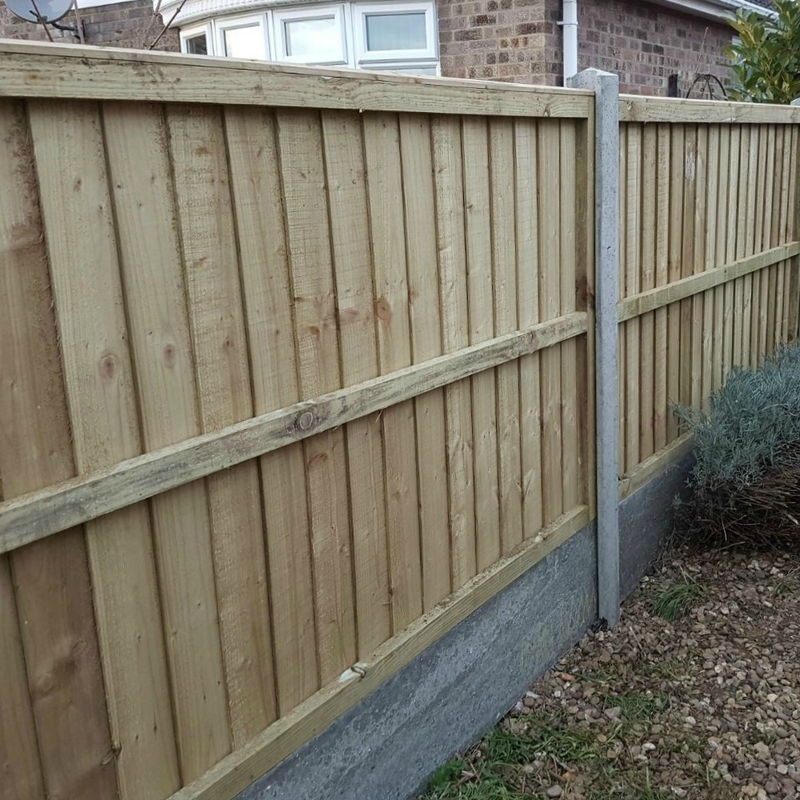 For this panel, ensure your gravel board is also 1830mm (6 feet) in length. 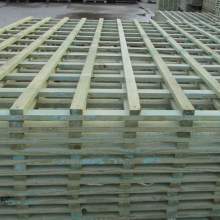 We use 18 feather-edge boards (22mm x 125mm), 2 vertical battens (32mm x 50mm), and 4 horizontal battens per 6 foot panel. Each piece of framing is screwed into place, and strong ring shank nails used to attach the boards, creating a robust and wind resistant panel! We offer two colour variations – pale green/natural, and brown. The only difference is aesthetics as both options are pressure treated to the same high standards, one is simply coloured brown on site, to save you time! The measurements above are in millimetres – mm. The finished size is 46x1830mm. 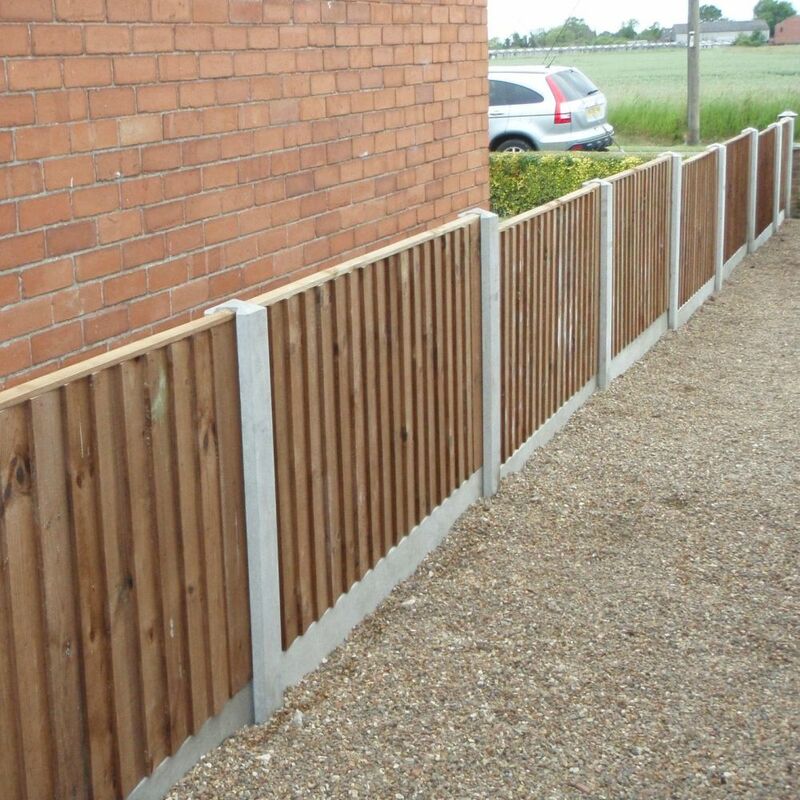 We are experts in fencing; speak to a member of our team to discuss your fencing options. 6' closeboard panels: Heavy & robust - Excellent quality at a fantastic price. Delivery date notified by phone call before arrival; driver very pleasant and helpful. Will definitely use again. Ordered 11 heavy duty featherboard panels on the Sunday, delivered on the following Friday, and YES they are heavy duty. Very good panels at a very good price and excellent delivery service. Thank you I would have no hesitation in recommending Witham Timber. Excellent value, quality product and friendly service. I am extremely pleased with the panels I bought. They are well constructed and it was nice to "buy British" - the quality was excellent. And I really feel I got great value for money with the price. I am replacing rotted out panels and these slotted into the concrete posts easily and fit very well (no rattling in the wind). The previous panels have lasted 20 years but I think these will last even longer because they are so well constructed. I ordered from the website - it was an easy-to-use site. I found what I wanted easily and paid on-line. Delivery was faultless - the driver was very friendly and helpful. I need three more panels and will be ordering them soon. I'm very happy I found Witham Timber and will certainly recommend it to my family and friends. Service and delivery first class. Notified of the delivery and arrived on time. Quality of the product excellent at an excellent price.Highly recommended. Excellent service, very good product and good prices. Would definitely use again. Bought 16 pressure treated heavy duty feather edge fence panels over last month or so. Now have bought from other National merchants before, but thought would give local company (Witham Timber) a chance. I am so glad I did. Their panels are extremely solid, and comparable, if not better than those from the larger National company that I used before - indeed, yes, they are better. Now add the fact that i paid Â£8-9 per panel less with Witham Timber and you can see why I would go nowhere else for my fencing needs. When I say recommended - I MEAN RECOMMENDED. We have a complete fence again! The panels fit, match and stop my dog getting out. They arrived promptly and were exactly as described. I would use Witham Timber again. Fence panels delivered quickly. All panels true to size and slotted into the concrete posts just right. Panels are well made and study . Have bought them before from Witham Timber and have been pleased with all of them. They are all made well and come pre treated so hope will last . Would highly recommend . Excellent quality closeboard panels which were delivered within 2 days of placing my order. Very competitive pricing and despite the distance I was given a precise delivery time. Helpful and courteous driver. Ordered 2 bespoke panels to fit into existing gaps...very reasonable price + delivery, as per all our panels from Witham, excellent quality...fully recommend this company to anyone wanting any fencing, gates, etc..you'll not be disappointed. I originally thought all the 5 star reviews were too good to be true but I have to admit that I agree with them all. 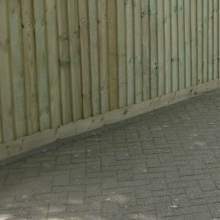 The fence panels are of an excellent quality and price as is the rest of my order of posts, gravel boards and fence stain. I have had no hesitation in recommending Witham Timber. 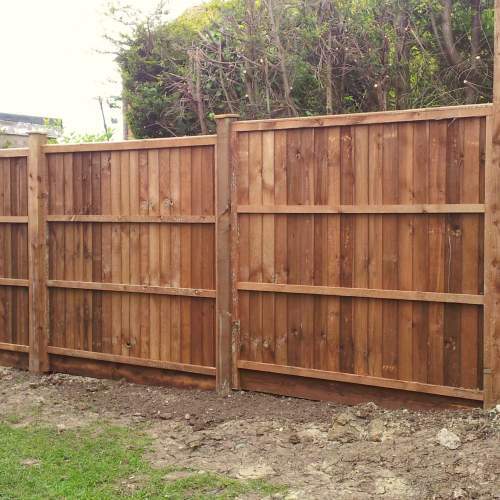 Great quality fence panels. No hassle with delivery even though they had to be walked into the Garden by the driver. 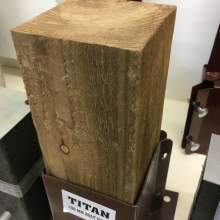 Good thick, well treated timber. Really pleased with the final look when installed. 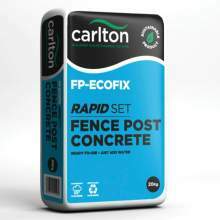 Went in nice and easy for existing concrete fence posts. Need to get more to finish the garden off and will definitely be going back to Witham Timber. Everything went well.. Delivery on time..Liked the website. Will use firm again. Following a recommendation from a neighbour I placed an online order for three fence panels. They were every bit the quality I was told about and delivered on the quoted day. An excellent company to do business with. Quality fence panels, exelent costumer service, friendly delivery team. Highly recommended company to deal with! Excellent panels, Excellent Delivery service.Highly recommended. I was nervous to order online from a company I hadn't been recommended or even heard of however I can honestly say I could not be happier with the quality, delivery service and help from staff when we queried the size clips we had ordered, they even changed the size with no trouble. Would highly recommend and we will be using this company for when we come to doing the front garden! Gob smacked, ordered in the afternoon, they were here the next morning waiting for me when I got up! Good quality, solid and well made. fantastic quality, very very heavy duty, need two people to put up or move them around. 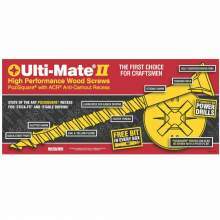 better than any at the DIY places so dont waste your time looking.Great price as well. I've made several orders with Witham Timber for this panel, plus heavy duty trellis and associated concrete posts and gravel boards. 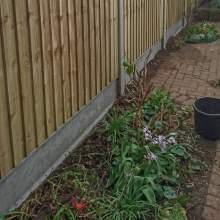 I'm gradually replacing cheap and useless fencing put in by the previous owner and now rotted after only 5 years - what a waste that was - and have already done several sections of our large, and often windy, garden. The panels are excellent quality and I've recommended them to several other people. Plus the drivers who deliver them are always helpful and considerate and those back at base have good customer service if it's needed. (a mix-up on a previous delivery was rectified immediately and without fuss). So, highly recommended. 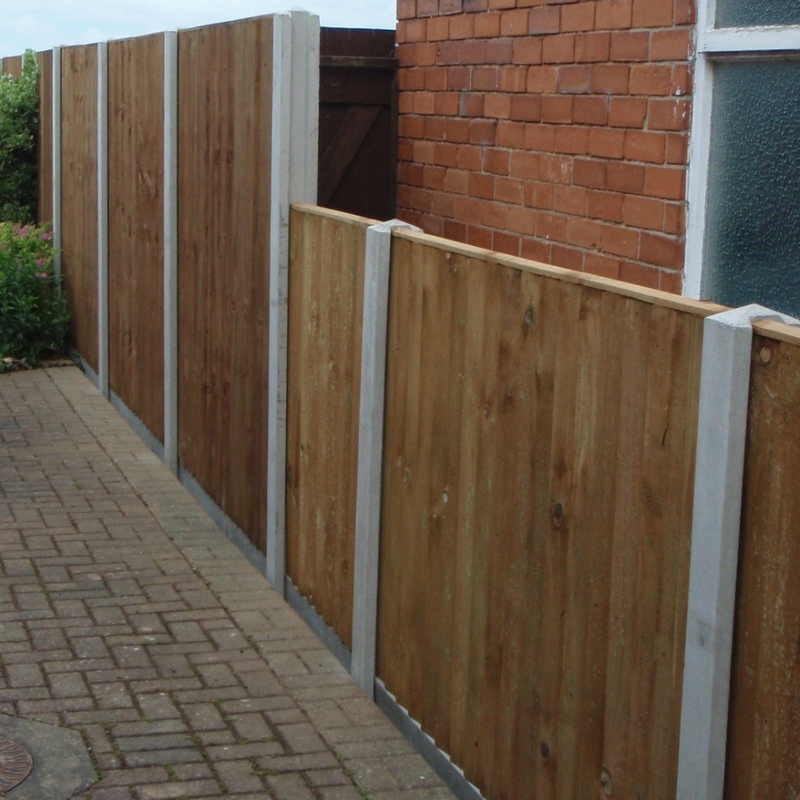 A speedy and efficient delivery of excellent quality fence panels. Would definitely recommend Witham Timber. Very good product (closeboard fence panel). Much sturdier than others I looked at ... Very pleased. Very well made fencing, I can endorse all the other 5 star comments. 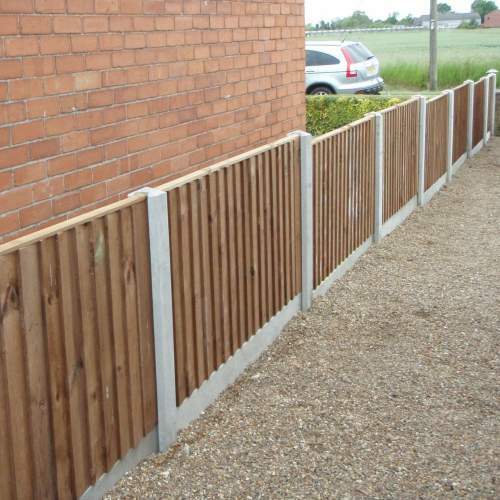 Good delivery service and very good quality fence panels. Replacement for waney lap panels. Much better product. 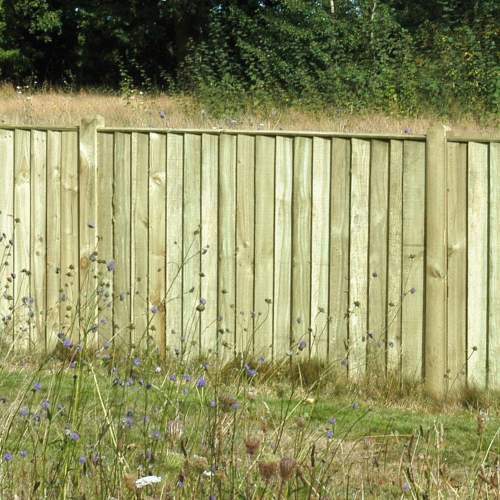 Well made, robust fencing and competitively priced. Delivered promptly. It is much heavier than the waney lap panels and needs two people to lift. Highly recommended. A great service and product provided, with very quick delivery. I will use you all the time for any more fencing needs. Thank you. I would highly recommend these panels and Witham timber. The panels are very sturdy and look very pleasing aesthetically. The delivery was prompt, the driver was pleasant and free for my area. 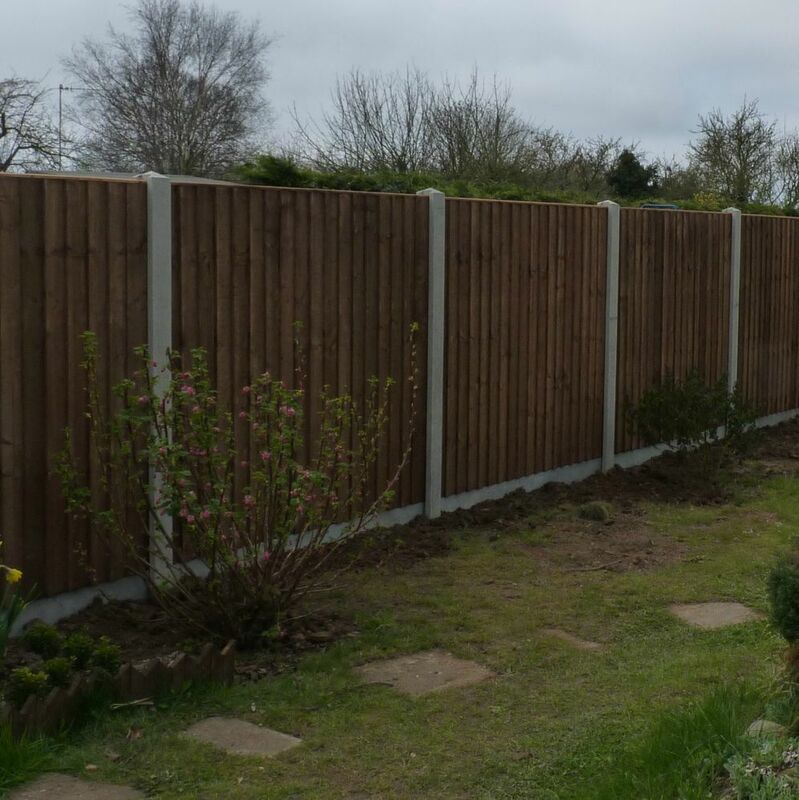 This was the first time I've used this company &amp; I was very happy with the top quality of their close boarded fence panels , also ordered posts &amp; gravel boards all of which were excellent , if you're looking for pressure treated fencing at a great price then look no further. I live in London &amp; had to wait a week for delivery which I was happy to wait for , as it was free. Great company great products would use again very pleased. Thank you for your kind words - we have full van loads running into London most days - any order over £100 is delivered free!!!! Good prices, quality and service. Also was surprised for fast response on some questions by e-mail. this not happens often. No letdowns so can say only all the best. Top quality service and a very good product. It took no time to fit and no movement in the panels or posts, which is great as I back on to open fields. Good quality product, delivery excellent and good customer service. Delivery as scheduled. All good. Driver deserves a bonus. Excellent customer service. Personally he needed extra pair of hands or at least a trolley to move heavy stuff over long distance. Item wise panels are sturdy and well build. Real value for money. It's my third delivery from them and definately not the last one. I compared a number of on-line prices but none matched this company. I placed an order and paid via their website at mid-day. Two hours later, a phone call confirmed next day delivery. i got up early to receive the order but the driver had beaten me to it. Invoice was on the doormat and all gates on the drive. First class service and first class product! Recommended. I have used Witham timber many times,the quality of their products cannot be beaten. The panels were really well constructed with framing screwed and joints accurately cut. They do have a heavy duty feel about them, much better than the generally poorly constructed and basic wood found in those from a DIY centre. Would definitely recommend and price is very competitive and includes delivery. Excellent quality very sturdy and well made delivery good . Recomend to friends . All staff very helpful thank you . Excellent product. 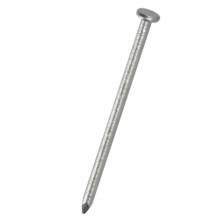 Solid and robust. Delivery was spot on as well. I will purchase again more panels, thank you. 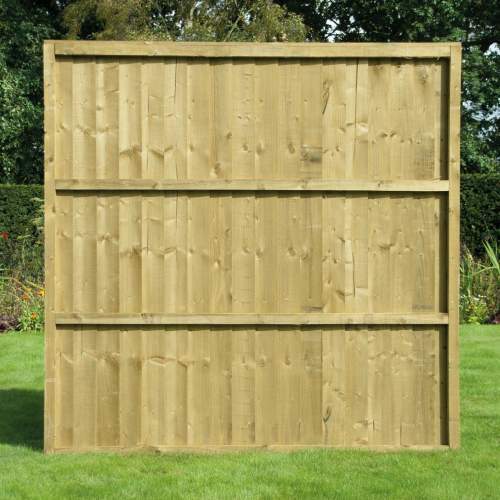 Brilliant quality fence panels. Brilliant company to deal with. Would definitely use them again and would definitely recommend them to anyone else. Dealing with real people who care about offering a great service. Great service from sale person on the phone to driver doing the delivery. Really happy with quality of panels. Recommended. 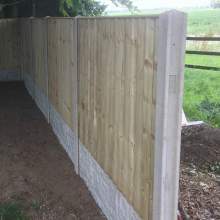 Fence panel is extremely well made and robust.The other timber ordered was all good quality and well treated.All the staff I dealt with from office to driver,were helpful and professional.Only the second time I have used this company,but I can't see myself going anywhere else for my timber products.I would recommend them to anyone. Excellent product, reasonably priced. Good communications. Very helpful delivery driver. Very pleased with the whole service. Thank you. I made an online order for 7 panels and 4 posts on Saturday afternoon but was unable to find any details about arranging delivery. I rang Witham first thing Monday morning and was greeted by a man who immediately was aware of my order, I asked whether they would contact me re: delivery, and he there and then said a lorry was coming my way on Thursday if that was convenient. The products arrived and were of very good, heavy duty quality. 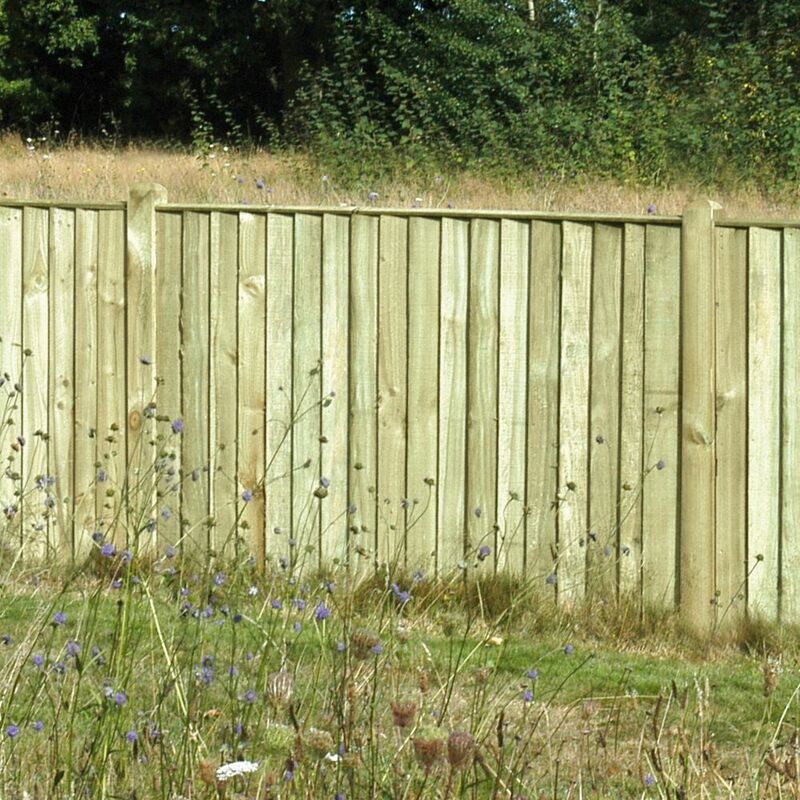 Very pleased with them and they make a striking border fence. Highly recommend Witham Timber as a top class company from start to finish. Superb service communication and delivery service.Highly recommended Thanks again. 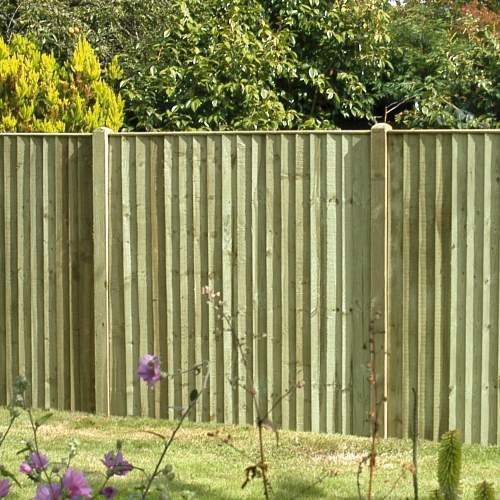 Good Quality fencing panel .It is heavy duty and pressure treated .It is nicely finished /visually pleasing.The quality far exceeds alternative suppliers offerings. Excellent service, excellent product. Customer service was very good ringing me with delivery times etc. I ordered the fence panels on a Wednesday and was contacted to inform me they would be delivered on the Friday. I had asked for delivery to be as early as possible as we were short staffed at work and couldn't take the whole day off. The fences were delivered before 07:30 fantastic service! I needed a heavy duty fence as I live in a very windy area and my previous fences needed replacing, searched around and found Witham Timber online emailed them about the fence construction and received an email informing me all I needed to know. Once I took delivery I was amazed at the quality there are indeed very heavy duty and when compared to fence panels at the DIY chains which cost the same or more you can see how good the quality of these fence panels are. Really pleased with my purchase and would recommend Witham Timber to anyone needing good quality fences. I bought 5 5ft panels they were delivered in 4 days free of charge. The panels are 1st class very heavy duty with full side edging ( unlike some cheap ones). very happy with Witham Timber and will be buying from them again. Great quality panels, ordered more products. 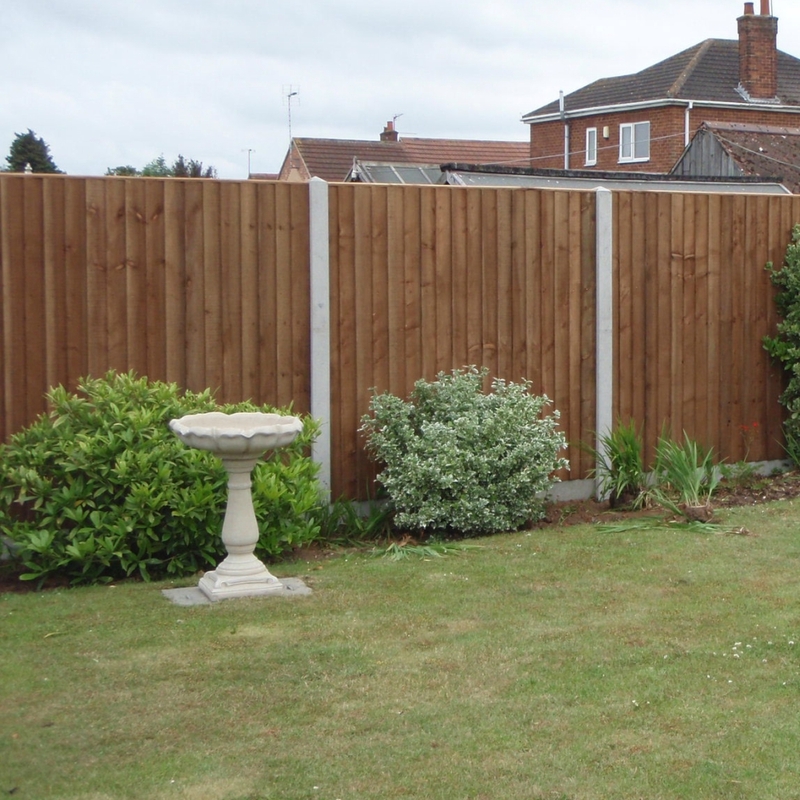 Once again, excellent value for the money, good looking hard wearing fence panels. Fast delivery, would highly recommend. Good quality panels at a great price and delivered in just 4 days, brilliant. Thanks. These panels are very well made. Excellent friendly service and everything ordered was delivered on time with a very helpful driver. 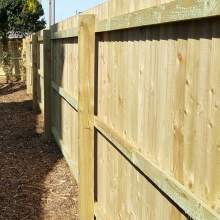 I would not hesitate in recommending anyone who needs a good fence, either as new or as a replacement, to contact Witham Timber and purchase their excellent products. Excellent service, good quality products. Would recommend this company. Excellent friendly service. Everything ordered was delivered next day. 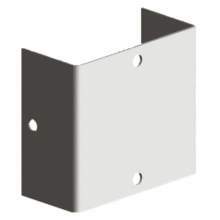 These panels are very well made and are much stronger than normal DIY store panels. Would recommend to anyone putting up a new fence. We thought we would give these a try, as buying blind from the internet can be quite daunting? Our replacement panels were delivered with in 2 working days, and were of the same high quality as our existing ones - which were probably much more expensive. They've fitted in exactly were the old panels were and we are very happy with them. I'm just looking at a replacement gate next! I'd happily recommend both the company for it's service and quality of goods. I first purchased this fence some 5 years ago, and have since added panels as the garden progresses. This is an excellent robust product of the highest quality. In the five years to present day we have not treated any panels, and apart from the normal of a knot or two falling out, they are as good as the day they were delivered. When we complete the project the panels will all be treated together.Service and delivery excellent, and the price superb value for money. Worth adding how extremely helpful the lorry drivers are on site with these particularly heavy panels. One of the best companies I have dealt with in every aspect over the past 40 years...highly recommended. Good solid fencing and a well constructed panel. Service was excellent and delivery arrived early. 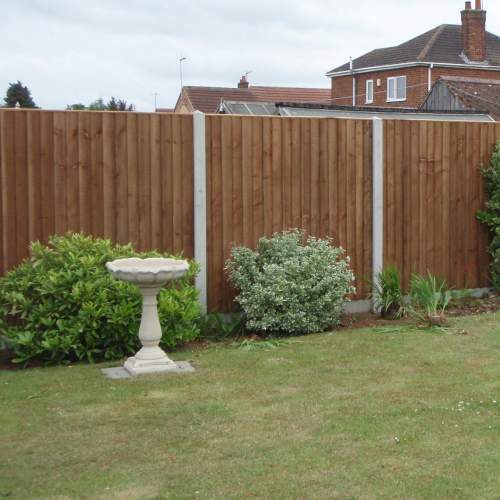 Fully recommend the fence panels and company. This is an excellently constructed, really solid product that will last for many years with little maintenance apart from one or two coats of good wood stain perioducally. I am gradually buying some of these to replace the atrociously thin panelling that a local contractor said was of good quality but which soon deteriorated and became fragile. 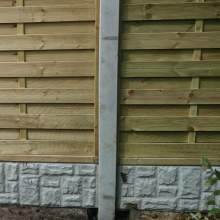 These heavy duty panels from Witham Timber fit tightly into the slot of the existing concrete posts, unlike the others which rattled and moved in strong winds. They are highly recommended, as is the service received from Witham Timber.